VECSI is an Irish linguistic and cultural organisation offering French language homestays in Biarritz. Providing supervised, structured course-based and homestay programmes throughout the year VECSI ensures that language-learning continues beyond the classroom through the immersive experience of living with a French family. 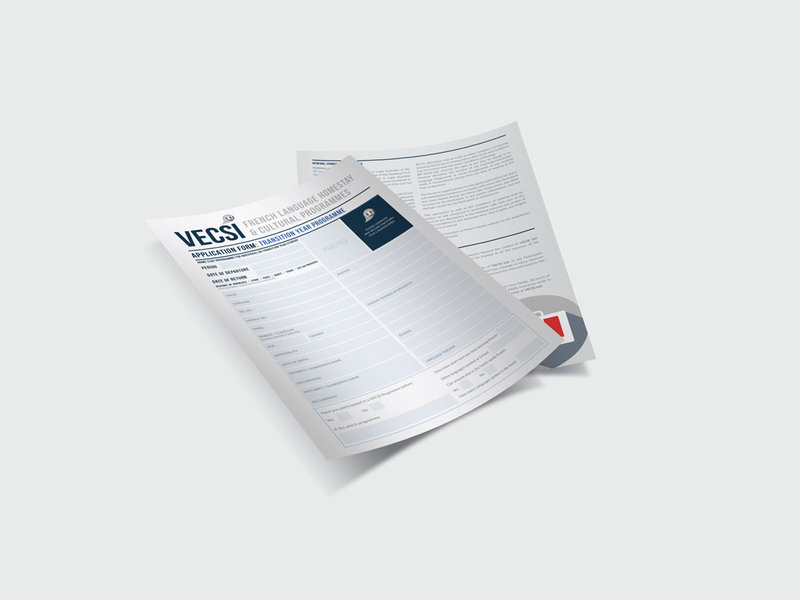 Recently we worked with the team in Ireland to rebrand the Vecsi site. A complete design overhaul was carried out starting with the logo and progressing to a fresh new website, application forms, stationery design and more. 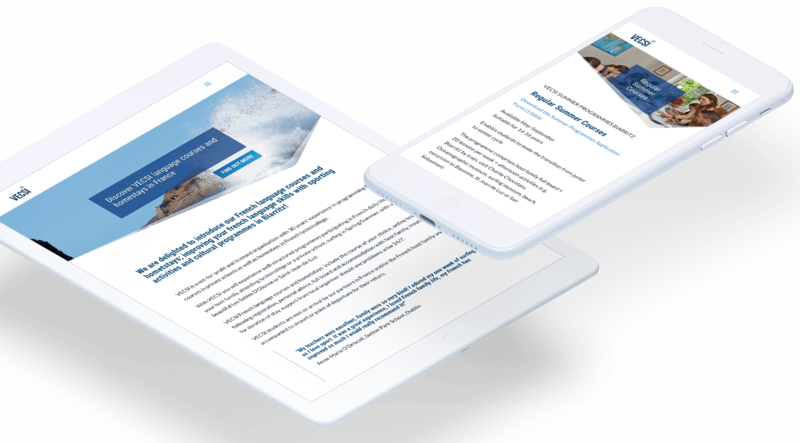 In addition to brand development and web design we also helped out with the creation of email templates, social media ads and other marketing materials.